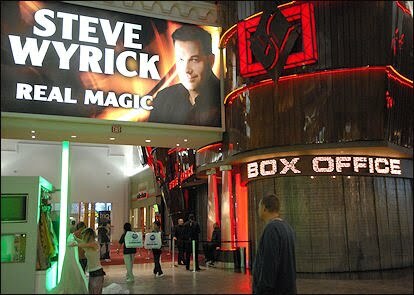 Las Vegas Magician Steve Wyrick has filed for bankruptcy. The chapter 7 court filings list his assets of $93,157 against liabilities of $54.355 million. Wyrick had a show at his own theater at Planet Hollywood until he stopped paying rent on the theater. It's clear now that he didn't have the money to make those payments. While I certainly don't know the details of the situation, it seems crazy that he would be able to rack up that much debt. Why would people lend him that much money? Maybe it was a product of the Las Vegas boom of a few years ago, and came crashing down with the economy.